I started riding again a few years ago and have been "making do" with a used mesh jacket. Have been looking at the pilot products for awhile and finally pulled the trigger and purchased the Trans Urban V2. First off I have to say I was very impressed with Pilot even before using there product. There was a glitch in the website ordering system that was promptly fixed, the first jacket I ordered was too small which they promptly replaced (free shipping). After receiving the jacket and doing some early spring commuting I have to say I am very impressed. Appears to be very well thought out (lots of pockets, adjustments, attention to small details), durable (expect it to last many years), and comfortable. I bike commute at interstate speeds and morning temperatures have been high in the 20-30 F range, has kept me warm. Haven't been through any heavy rains yet but I expect it will perform well. I will report back after a spring and summer of use but as of now 2 thumbs up. This is a very reasonably priced jacket of good quality. By the way I also have a pair of their riding gloves which I like. This is my first riding Jacket. If you have had many jackets you probably will not find my review helpful or interesting and even if its your first jacket you still might not find it useful, but here goes..I am just starting to ride again after 25 years. I recall the cool jackets from the late 80's, and had a pre conceived notion of what a riding jacket was based on those memory's. I wanted a GoreTex jacket that was waterproof and windproof and would not set me back $500. That was not a happening thing. I researched and read reviews and blogs and consequentially discovered Pilot. Based on many good review, a lot of them on amazon, I decided to settle on a “close out” trans.urban for an outstanding price. Received an email after placing the order that the close out trans.urban was all out of stock and was offered a fantastic deal on a trans.urban v2. I accepted and received the jacket two days later. I was immediately impressed just by the quality of the box and the tape. Unpacked the jacket and again was immediately impressed by material, while not GoreTex it certainly feels just as tough and durable, but time will be the true test there. The many pockets, and the built armor pads, while i do not know the ratings of the armor, having some is better than none. 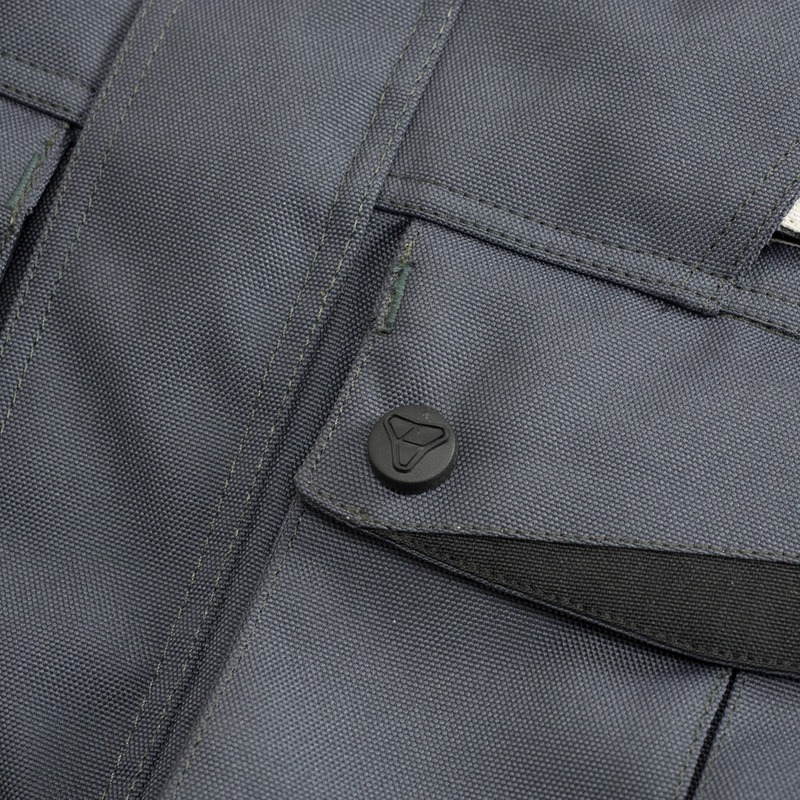 Jacket has some weight, but not overly heavy, after all quality material has some weight to it. Ultimately I had no idea what a modern riding jacket was because this jacket exceeded my expectations in so many areas. I found sizing to be good, however based on many reviews, I ordered one size larger. I have a 47" chest and waist, but a 52 " beer belly, 5'11" 250#, so based on waist and chest to size chart I would be X LG, I decided to go 2X to accommodate my 52" mid section and The jacket is just right for me. 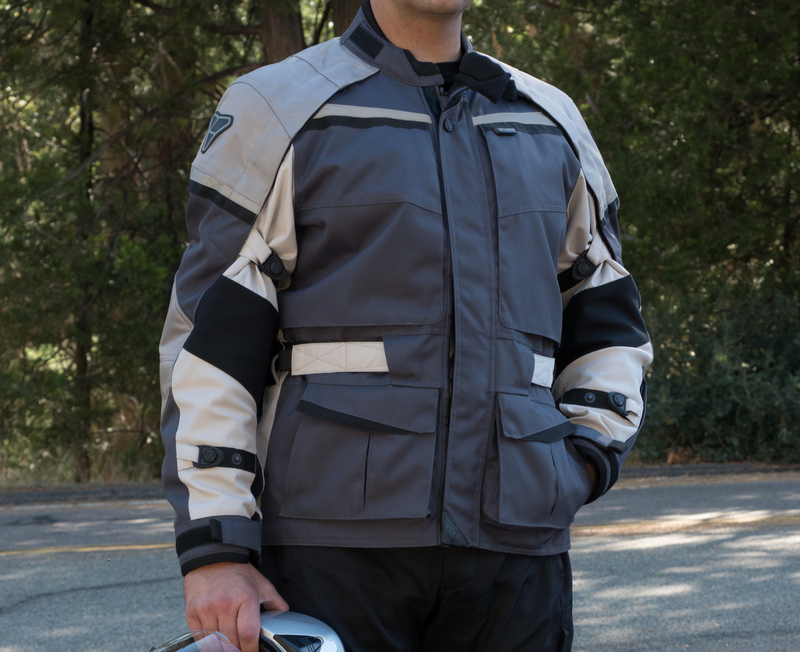 I have worn it only about 30 miles so far, and it is quite comfortable and does not feel bulky when riding, I also stayed comfortable warm with only a long sleeve shirt and t shirt under the jacket, when normally I would have an additional sweat shirt and a insulated GoreTex hunting jacket in about 40 deg weather. Looking forward to more rides now that I have a comfortable jacket. In addition to being happy with the jacket and the value, the customer service I received from Tony to accommodate me after being informed my original order was out of stock was phenomenal.. I base this against other companies that I have dealt with in similar situations. Out of stock means out of stock. Its understandable and I was not upset with the news. While most places would have just apologized and moved on, I guess Tony just decided that since I had already taken the time to place an order, he wanted to make certain that I still got a jacket. The prompt communication via email, and his willingness to give me a great alternative even though I never asked for anything really says something to me about the level of customer service at Pilot. I will be showing off my jacket and bragging about my experience for certain. 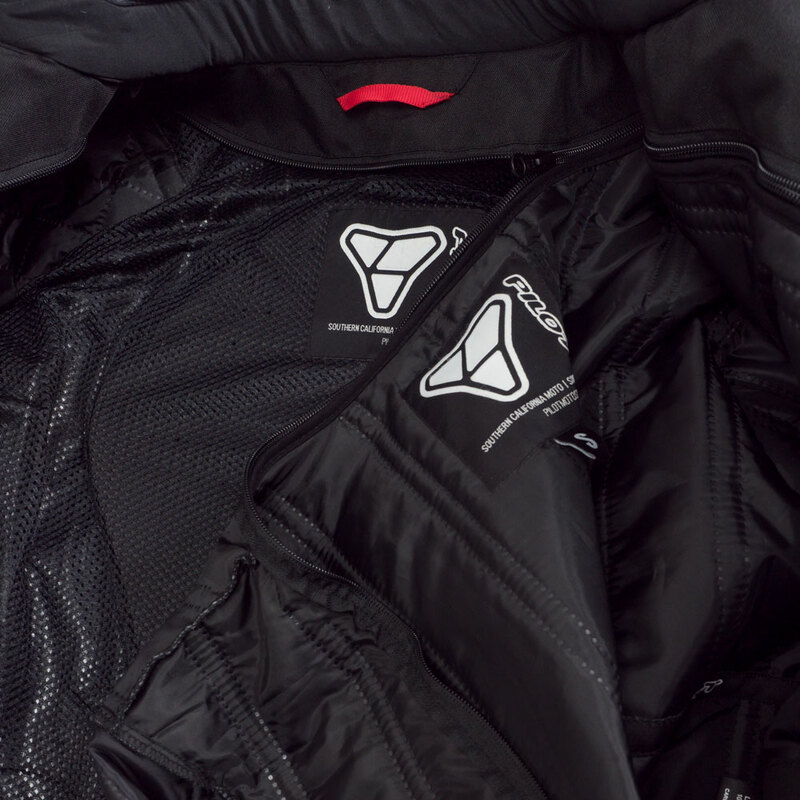 The original Trans.Urban set a standard for affordability and quality in the touring jacket category. It's tough to redesign something that in a few years has become something of a classic. Our goal was to stay true to what made the Trans.Urban so popular, but freshen the aesthetic and incorporate a few tricks we've learned over the last few years. The new Trans.Urban V2 features all of the same great features of the old Trans.Urban, but in a redesigned streamlined package. The biggest change is the armor, which is now all new Force Impact material that is compliant and flexible but stiffens and disperses upon impact. We took the best aspects of the original Trans.Urban and refined the look even further. The elbow and shoulder armor in the Trans.Urban V2 has been upgraded to a completely new composite material. One of the most common compliments the original Trans.Urban received was that it was clearly designed by people who actually ride. 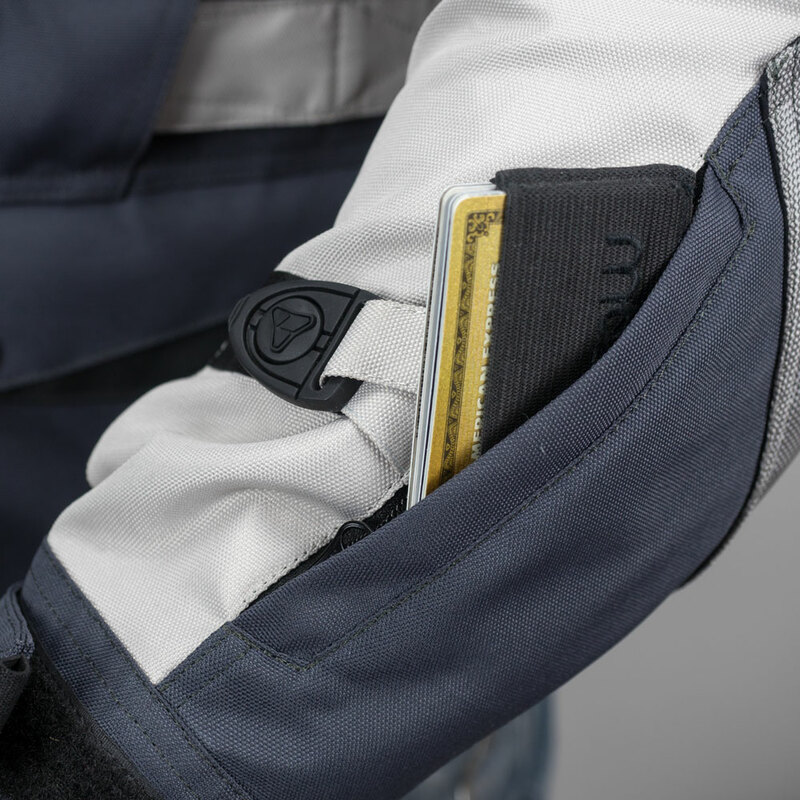 Helpful niceties like our at hand wrist pocket, Red Tab system, heated vest control pass through, key clip, integrated zipper pulls and a host of other little touches make the Trans.Urban a pleasure to ride in, everyday. With aqua-seal zippered vents on the arms and back as well as a removable insulated thremolite liner and sewn in Reissa waterproof liner, the Trans.Urban V2 is designed to be worn comfortably in all but the hottest weather conditions. Thermolite is an innovative insulation technology that allows for the passage of moisture from the skin to flow outward away from the body while still retaining crucial body heat. The result is a full length breathable insulating layer that can be completely removed when not desired.